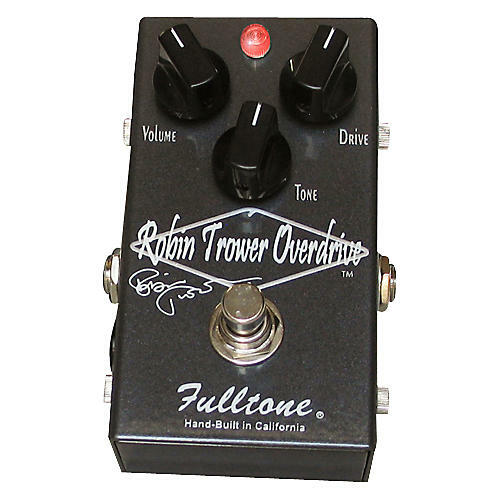 Robin Trower is known for tone, and the Robin Trower Signature Overdrive Pedal from Fulltone delivers a sonic effect truly worthy of its namesake. This pedal's got touch-responsive, huge-sounding sustain for days-and crystal clear when the guitar's volume knob is reduced for great live dynamics. This overdrive pedal sounds great with all of Trower's guitars. The front end of the pedal is specially tuned for those .012-.048 tuned-down strings. Robin's happy with the way it turned out. So give it a try. We think you'll be impressed.